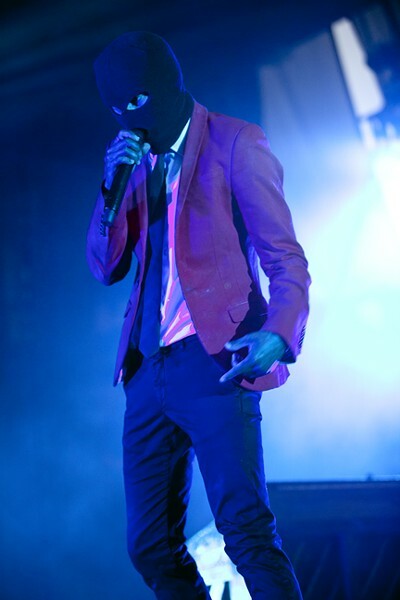 The Twenty One Pilots show was the hottest ticket in town on Tuesday night. For those hopefuls trying to snag an extra ticket outside of the amphitheater at Music Factory to no avail: I hate to be the bearer of bad news, but this show was definitely worth the hype. 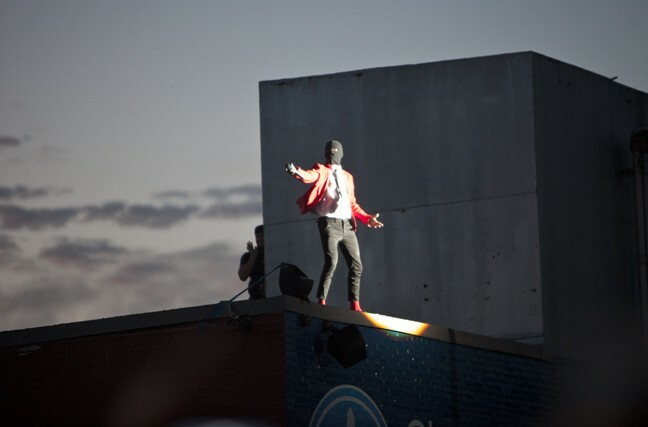 Twenty One Pilots showed proved themselves as an epic force to be reckoned with. 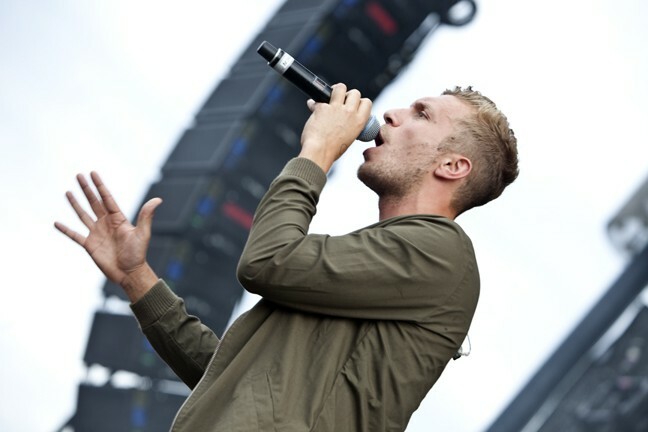 They are a band that has earned its newly minted big-timer status. What’s funny? The group couldn’t be smaller, numerically: there are only two dudes in the band. Yet those two dudes, singer Tyler Joseph and drummer Josh Dun, manage to put on a two hour show that could rock even bigger arenas. Charlotte Metro Credit Union Amphitheatre was packed. The crowd was an odd mixture of little kids in makeup to parents that looked just as excited to see the duo. Seats completely sold out, right down to the last blade of grass on the lawn. You really can’t blame hopefuls who were pursuing scalpers months in advance and hoping to get in on the action. Twenty One Pilots tore through a 22 song set that was full of surprises, including a giant hamster ball. Yes, I said, a giant hamster ball. But we’ll get to that later. For some background, Joseph and Dun hail from Columbus, Ohio. They started the musical duo in 2009 (with a few former members). 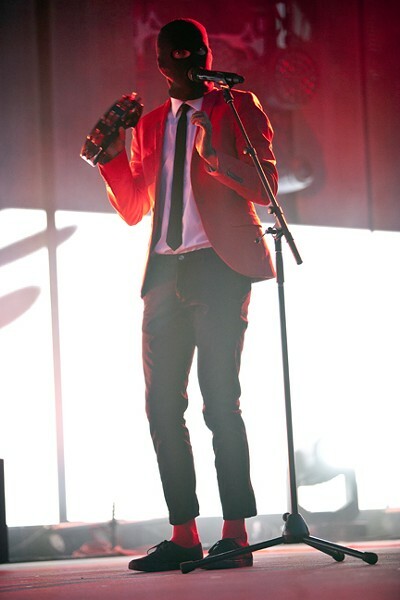 They self-released two albums before being signed by Fueled By Ramen in 2012, and their most recent release Blurryface hit number one on the Billboard 200, spawning two massive radio hits "Stressed Out" and "Ride." Now, they’re going from city to city selling out shows on their aptly named "Emotional Roadshow" world tour. This whole production is a dream come to life for them and they’re very open about it. That, along with some musical genius and multi-talented musicians, is why they inspire such a passionate following of fans. 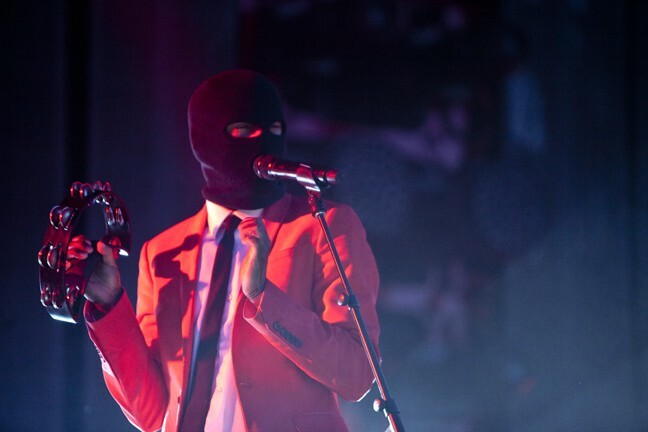 They took to the stage in red suit jackets, black pants and ties and black ski masks and raged through "Heavydirtysoul." The masks stayed on until a little stage magic a few songs in. Joseph became still at the piano as his road crew through a sheet over him, disappearing before the crowd’s eyes and reappearing on top of the Credit Union logo two stories up where he ripped his mask off to cheers. There was barely a pause in the beat as he made his way back to the stage (now in a long shirt with floral print) and tearing up "Migraine." As the show went on, the crowd never stopped shouting lyrics, keeping up with Joseph without stumbling on even the fastest wordplay, as the stage antics kept building. From dance hall to ukulele rocking out on "We Don’t Believe What’s On TV" to pop, the crowd rode the wave gleefully. Especially when, after "Lane Boy," the two changed into skeleton jumpsuits and made it back to the lawn seats to do a series of songs up close and personal with the fans in the cheap seats. Lights were dancing on the twosome as they performed a medley that included "Fall Away,” "Forest" and "Kitchen Sink," songs hard to come by on Spotify and even more rare to hear performed live. 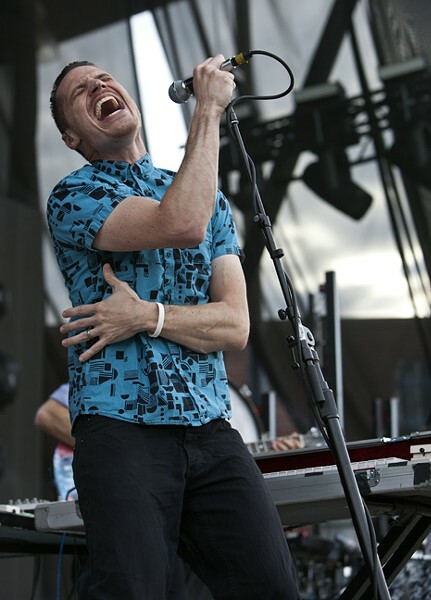 They returned to the stage to play practically on top of the audience, a platform held by security holding a tiny drum kit and keyboard at the edge of the stage before bringing out openers Chef’Special and MuteMath for a few amazing covers. The nine of them (some of them playing, some of them awkwardly white boy dancing) went through "Twist and Shout," "My Heart Will Go On," "Love Yourself" and "Jump Around." It was seemingly the most randomly selected cover songs that somehow worked seamlessly. Bonus — Dun somehow managed to break the drum kit on the tamest song of all (apparently Celine Dion got him too excited). You would think it couldn’t get any better, but somehow, it did. The crowd went wild when the band played did "Ride" and "Stressed Out," but there was even more shock when Joseph stuffed himself inside a giant blow up hamster ball and rolled over the crowd for "Guns for Hands." By the time they took the stage for an encore of "Goner" and "Trees," the twosome and the crowd were spent. It was an emotional, epic show. Given their ability to play multiple instruments (switching between everything from the saxophone to the piano and back again), there was no doubt that this show was going to be a musical feast. But no one expected it to be quite the spectacle it was. Don’t you dare miss these two next time around.